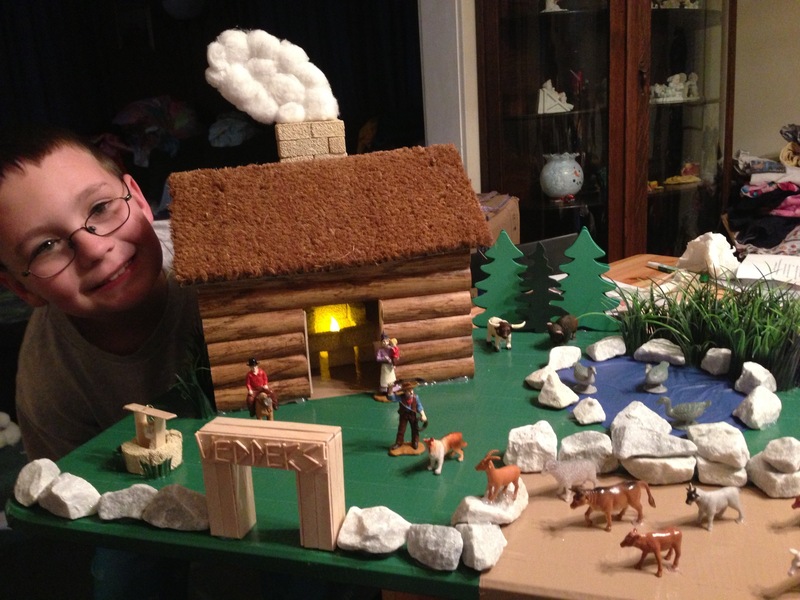 After a couple weeks of work, here is Zachary’s pioneer house for his school project. The house even includes a working fireplace (LED of course…schools seem to frown upon projects that feature real fire). A special word of thanks goes to all those who helped. That is really nifty. 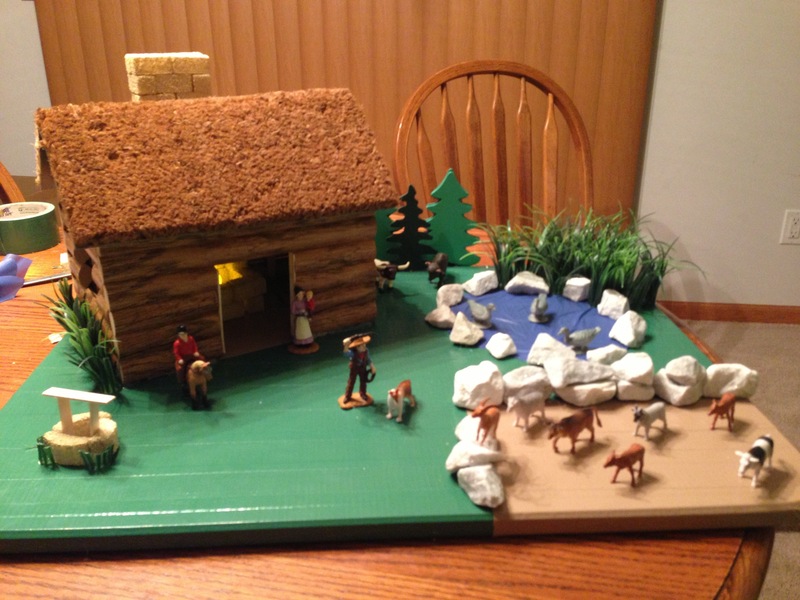 What harm is there in an 8 year old’s school project using fire? How else are they going to learn. It’s not like the pioneers had access to LEDs.